Recently I visited the New Americans Program at Queens Library’s headquarters in Jamaica. 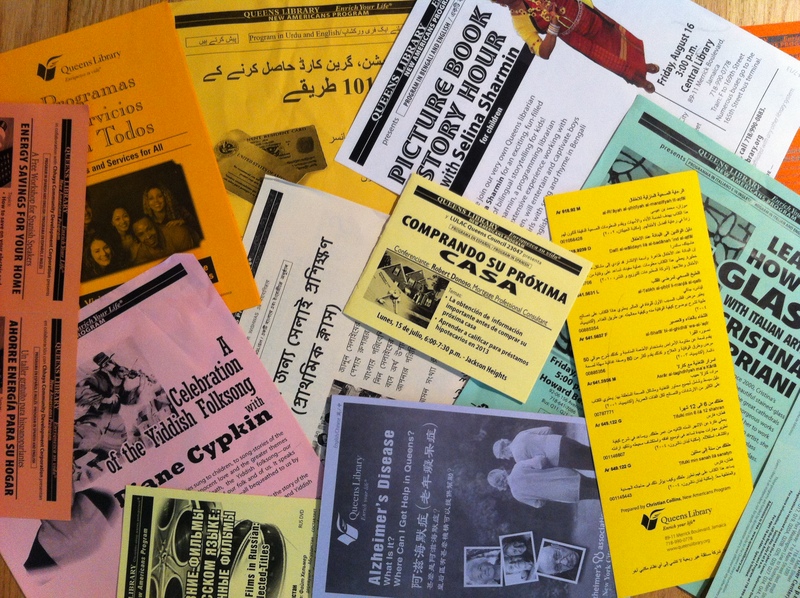 The program provides materials and activities to recent immigrants to the borough in the languages they speak – more about it to come shortly. Mandarin Chinese is the third most-spoken language in Queens after English and Spanish (and followed by Korean, then Bengali). The latest wording for “I live here” added to the page of languages spoken in Queens is Danish: “Jeg bor her”. If you would like to add words or video for another language, please get in touch!